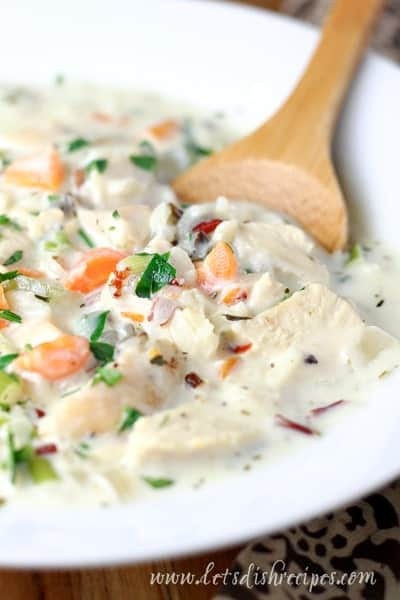 CREAMY WILD RICE TURKEY SOUP — Creamy turkey soup with wild rice and vegetables. 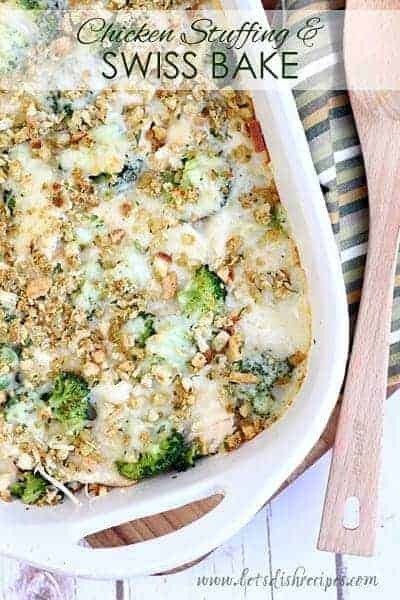 A great way to use Thanksgiving leftovers! Wondering what to do with all that leftover Thanksgiving turkey? 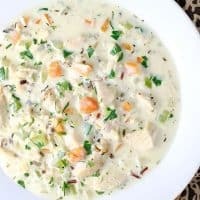 This Creamy Wild Rice Turkey soup is my absolute favorite way to use up leftover Thanksgiving turkey! My husband loves it too, and so do the kids, even with the brown rice and vegetables. Normally my kids wouldn’t touch either of those things with a ten foot pole, so you know this stuff is good! 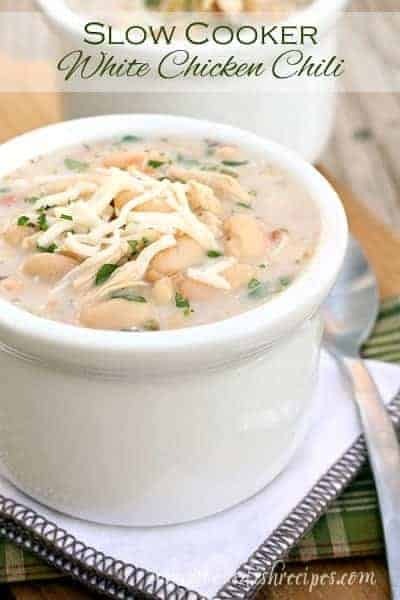 And for a creamy soup, this is fairly healthy and not too fattening–which is an important consideration in the days following your Thanksgiving feast. Of course, I do love a good turkey sandwich in the days after Thanksgiving, but I honestly haven’t found a more delicious way to use my leftover turkey than in this soup. Although the original recipe called for regular wild rice, I use a quick cooking wild rice mix that includes white, brown and red rice. It cooks up in only 15 minutes and the soup is ready in no time. When my kids were younger, I did get requests to “leave out the carrots” and it’s just fine without them. But now that everyone is a little older, even the carrots aren’t an issue for anyone. Mushrooms are also a nice addition, and if you don’t have leftover turkey, you can make the soup with chicken. It’s definitely worth making more often than just after Thanksgiving. But if you only make one leftover turkey recipe this holiday season, it should be this Creamy Wild Rice Turkey Soup! 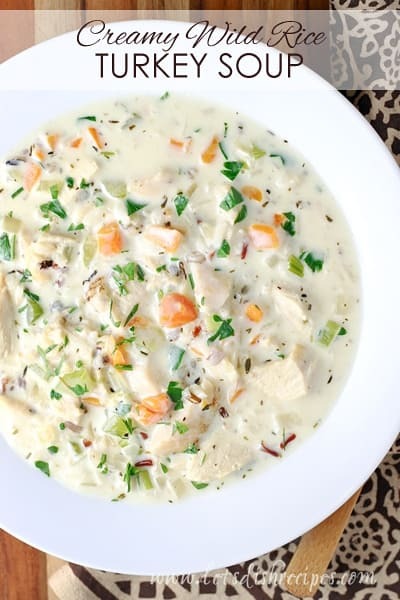 Be sure to save this Creamy Wild Rice Turkey Soup recipe to your favorite Pinterest board for later. 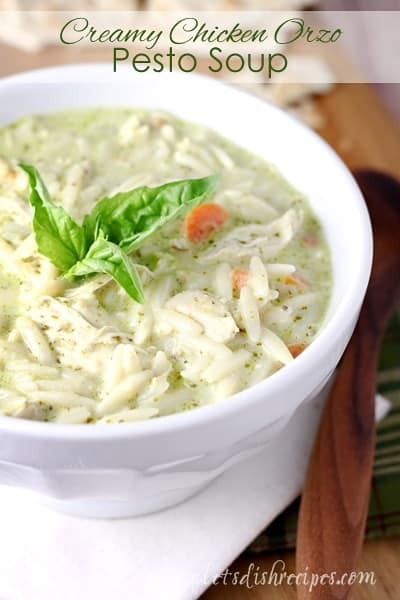 Creamy turkey soup with wild rice and vegetables. A great way to use Thanksgiving leftovers! Melt the butter in a large pot over medium-high heat. Add carrot, celery, onion, green onion, rosemary, thyme, pepper and garlic. Sauté about 8 minutes or until browned. Stir in broth, scraping pan to loosen browned bits. Stir in turkey and rice; bring to a boil. Cover, reduce heat, and simmer 1 hour and 15 minutes or until rice is tender (15-20 minutes if using quick cooking rice). Combine flour and milk in a small bowl, stirring with a whisk until there are no lumps. Add to soup and stir well. Cook over medium heat until thick (about 8 minutes), stirring frequently. Season with salt, to taste. Tried it, loved it! My picky husband even gobbled it up…thanks for an alternate use for leftover turkey! Is the turkey cooked in this recipe or is it raw? The turkey in this recipe should be cooked first. I made this last week, and it was sooooo good. It’s going in my “Keeper File” and I put a big red star on the top! Thank you! Any recommendations for making a spicy version of this? I.E. would you simply add roasted jalapenos or do you need to adjust the spices (rosemary/thyme) so it doesn’t taste funky? Total cook time says 40 minutes but it’s MUCH longer when you include the hour and 15 minutes it takes to cook the rice. Made a few changes to the seasoning but happy to find a new way to repurpose turkey leftovers! Very good! I used leftover rotissserie chicken and leftover cooked rice along with mushrooms and lemongrass. ‘So delicious!